The range of ocellated wild turkey covers the southern part of the North American continent, most notably the Yucatan peninsula in Mexico. This is where most of the outfitters that offer the hunting for this unique variety of wild turkey are located. Ocellated Wild Turkey hunts are typically in the $2,500-3,000 range. A hunter typically has opportunities to combine a turkey hunt with other exotic birds and animals such as curassow, peccary, or brocket deer. One tag is usually included in the price of the hunt, and a hunter typically has an option to harvest a second bird for an extra fee. Due to the bird’s CITES status, it is advisable to arrange the importation of the trophy to the USA via an approved taxidermist. When to hunt Ocellated Turkey? Most ocellated turkey hunts take place during the mating season, which is from mid-March to mid-April. There’s also an autumn season, but most hunters prefer to go after the bird in spring, when the chances of bagging a big tom in full splendor are much higher. Ocellated turkeys are hunted like other kinds of wild turkey, by calling a male tom in range during the mating season. 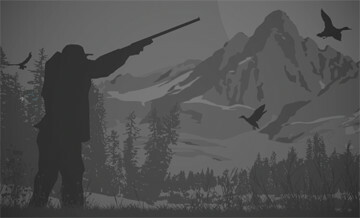 Guides often use ground blinds to conceal hunters from their prey. In the fall season, ocellated turkey hunting is done in agricultural areas by stalking or waiting from a blind. Not to be confused with Osceola Turkey, the oscillated turkey got its name from its unique rainbow-like iridescent plumage, with blue and gold-tipped tail feathers. It’s one of the smallest kinds of wild turkey, with adult males weighing only 11-12 pounds. They have a unique high-pitched gobble preceded by a drumming sound, very long spurs, but no beard. Being the most remote and exotic species of North American wild turkeys, ocellated turkey is usually the crown of a turkey hunter’s “Big Six Slam”.